==>10 certificate think is good for members and you can add colour in forum thread answers by html coading. I wanted to say one thing that as you connected with the social networking site,so you have to give updation also there time to time about the government jobs. 1) Try to make another category called government papers i.e we are having different entries under government sector for whichlot of exams are being conducted through out the year. Hire a paper expert ormake question papers category where only threadsof question papers are beingapproved by this no similar question will be approved byour moderators. 2) To enhance our forum try to give gifts to our winners or winner of month accordingto which you prefer. 3) If it's possible try to implement now top 30 winners. Why the prize money amount has been decreased? Is there any specific reason to decrease the money. and there used to be good competition. popularity of this site.Kindly look into this and try to increase the prize money. people at other ranks will also be benefitted, but it was really shocking to see the decreased amount. At This time forum is up to date and good. But also we can add font size. So it look like impressive. this is very good program for every one at every age.. in this program anyone can increase their knowledge and also can earn the money.. this program is really effective.. i suggest if you could provide the any alerts for the user on phones.. like.. if someone register as a member or earning the money through the program at that time he get a sms or any alert.. this will benificial.. thanku..
i am giving few suggestion by looking at the drawbacks of the GJA forum. 1) Moderators should continuously check the posts without the gap of few days so that posters get excited quickly and continue performing well by which they can learn and earn more and Questioners get "on time" and "best" answers. 2)I have seen few posters have given vague and wrong posts Example:-"Qualification for giving IBPS CWE exam" regarding this thread many posters have posted wrong and vague posts but still their posts are being shown. Lot of applications will be rejected for IBPS exam if applicants with qualification of just 12th apply for IBPS exam by seeing posts in this forum and they will get annoyed by this forum. I hope you have got few good suggestions from my side. please make the process easy to get the government job sms. after all every member must get points only and only if his answers are helping others. You are doing a very good job by helping those people who does not know the right way of their future building. Thanks for this forum. I wish and pray for the continous success of this forum. I am new to this site.While i was browsing the internet to know about the groups i came across this website but previously i doesn't know anything about the site.Only when someone browses the internet knowingly or unknowingly we are coming to know about this site.Why don't you make students aware of this site more.My suggestion is to post this website everywhere in the offices and colleges so that everybody will come to know about it and more and more replyies and questions get posted.As this is useful to many economically poor but knowledgeable people they will come to know about this even. I cant say anything abt this now As im A Fresher to this . But i Have Read Abt Dis as above members suggested i feel like its gng great . Nice launch . may this Help all . Thank You Very much for the opportunites, thanks a lot ! My suggestion to this forum to extend the present scholoar ship payment up to the rank 20 to 30.If it is done I think volume of regular participants to this forum will increase.This forum enables jobless to know all available jobs as per their need,overall this side is beneficial for jobless. >>>And Sir,at this time you are giving 21 to 100 Rank Members consolation prize. >>>So,Many members just by giving one or two answer and comes in upto 100 Rank and get consolation prize. >>>1-20 Rank Prize is good which you are giving..........Consolation prize you can give upto 21-50 Rank Member.so that you can save Rs.5000/- from a Forum.With Rs.5000/- you can buy a Mobile or Tablet Gift.This Mobile or Tablet,You can give a Member , Who comes in 1-20 Rank.For Giving this gift,You should Select Randomly a Member By Draw from 1-20 Rank. Rank and will give More Effort on forum.This Gift will be Memorable for Member and it will inspired member to participate again in ealp,Whatever Member will get this Gift and also other member will inspired to give more effort on forum and may be next winner. >>>Above is some of my thinks.Sir,You know very well how to Run your website very well.EALP is very popular Program on internet and is very trusted. and i wish this should be continued for years and years..
and help all the people who were unaware of this ..
1)This forum will provide details of govt jobs. 2)This details will helpful for the candidates. 4)This is helpful for who interested to do part time job especially for students and home makers. 5)Thank you and congratulations who are winners in this forum. We are working hard to improve our GJA forum so we need your valuable feedback or suggestions. 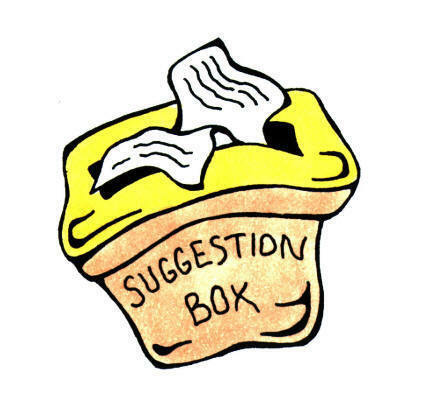 Your every suggestions will be considered to a better extent. Please help us to improve. I want that All the Notification to be Uploaded on this forum of Govt. Jobs with details. As you are thinking About SMS Notification on Mobile,it is Good But Also you can get Notification in your Email by which you have Registered On Government Jobs Alerts India Forum. >>>You can get Notificaton of every activity.Like Registring,Thread answer,Winning any Prize etc. >>>You can get also Notification about wishing birth date on your Birth Date. >>>Check your Email Account,There is No need to get notification by other Way. show the jobs in different categories according to the qualification of candidates. after 12th students can go directly to their column,after graduation job searching students go to their column. they can easily search for w8 they need insteed of looking to all pages,reading all notifications and wasting their valuable time. also these can be send to their registered mobile no. or mail id. according to their qualification. ==>You can easily find answer related to your query by " SEARCH " option , Which is given on Right Side of Forum's Top. ==>In This forum,you can easily get job related question's answer according to your qualification. ==>Also,If you are registered member then You can Subscribe thread. Dear friends this is a part of EALP(Earn AND Learn Programme)very nice forum you can join to this forum. This forum discusses with the state govt/central govt jobs.Any Indian/unemployed can submit there question for Answer. Moreover if you have better suggestion to develope this forum you can explain here with your points.